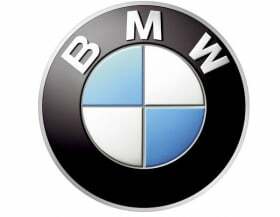 BERLIN (Bloomberg) -- BMW AG, the world's largest maker of luxury vehicles, will expand the BMW and Mini model ranges to boost annual sales 55 percent over the next decade and fend off Volkswagen AG and Daimler AG. Reithofer, 54, intends to add a four-door version of the 6-series luxury coupe after the rollout of the new two-door model next year. The executive, who took over as CEO in September 2006 after overseeing production for six years, has one year left on his current contract. An avid skier and mountain biker, the executive has eliminated jobs and set a target to cut more than 4 billion euros from purchasing outlays to boost auto profits. The Mini brand will be a focus of expansion with at least three new models in the works. Roadster and coupe versions of the trendy British marque are due within the next two years, while the Countryman, Mini's first four-door vehicle, hits European showrooms later this month. 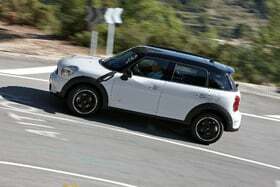 Mini, which launches the four-door Countryman this month, will expand further. Audi is introducing a dozen models in 2010, including the five-door A7 Sportback and A1, its smallest car, as the automaker increases the lineup to 42 vehicles by 2015 from 34 in 2009. BMW is using 90 percent of the capacity of its European plants, putting it ahead of all other automakers in the region, according to IHS Automotive. Volkswagen's European factories are running at 77 percent and Daimler at 73 percent, IHS said. The new 5 series is sold out, and orders take two to three months to fill, Reithofer said. 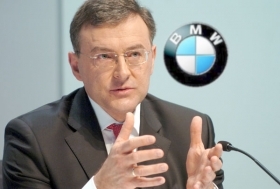 BMW is adding a third shift to the bodyshop of its Leipzig factory to meet demand for the X1 compact SUV, he said. U.S. is a key market, Reithofer says. The automaker, which has been increasing the number of parts shared between different models to cut costs, is working on standardizing components and technology in its diesel and gasoline engines. It is open to selling its smaller engines to third parties to realize additional savings. BMW and PSA/Peugeot-Citroen agreed in February to develop new four-cylinder gasoline engines that will be used in the Mini beyond 2015, continuing an existing partnership. BMW's sales in July jumped 82 percent in China, which has become the automaker's third-biggest market after the United States and Germany. U.S. sales rose 10 percent in July, as the company claws back from the 25 percent drop suffered during the financial crisis.